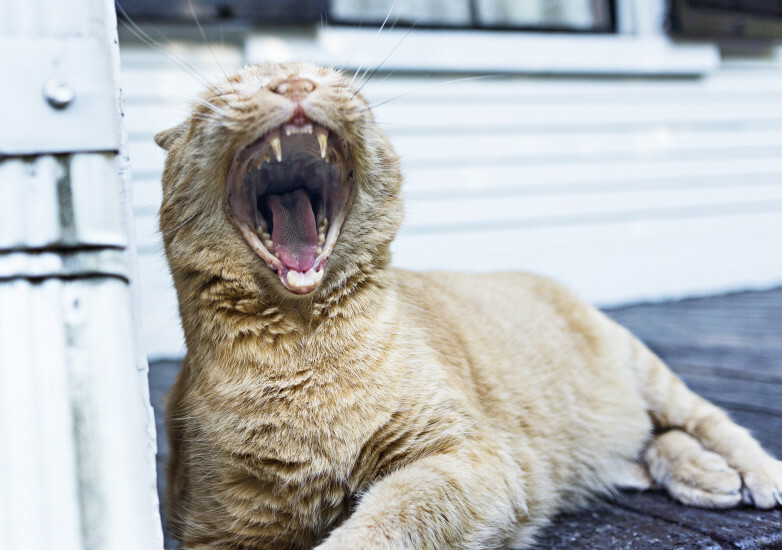 Regardless if you’re a newbie or a veteran cat owner, we’re sure you still have some unanswered questions regarding your feline friend’s behavior. Though each individual cat is different, they are programmed by evolution to react the same way to certain situations. If you have questions and things you’re still uncertain about, lets answer and clear them up! Why does my cat act ballistic all of a sudden? There are times wherein your cat will suddenly run around, roll over or act like an overexcited dog. Although funny, this causes a number of disturbances considering this usually happens at night. Cats do this mainly to blow off steam or just for the fun of it. However if your cat has flea problems, it is likely that it has an errant itch that it couldn’t reach. Why does my cat arch its back? There are a couple of reasons why felines do this. First is it trying to stretch its muscles, like what you’re doing every time you wake up. Second, they do so when they feel threatened in order to scare away the thing threatening them. This is usually accompanied by fur standing on one end. Why does my cat rub its cheeks on me? Usually done every time you arrive home or after every petting session, cats do this in order to deposit their scent on you and to mark you as their own. Yes, it is basically saying that it owns you when it does this. There are scent glands under its whiskers and on its mouth, chin and forehead that transfer pheromones into certain objects. Why does my cat bite when I touch her belly? Cats don’t appreciate belly rubs as much as dogs, mainly because they consider it as one of the most vulnerable parts of their bodies. However, if it exposes and doesn’t mind if you rub her underbelly, you should feel happy: it is a sign of genuine trust. It also means that your feline friend is comfortable around you. Why doesn’t my cat come when I call her? Cats are more independent and aloof compared to dogs and do not feel that they are compelled to answer to you. That being said, cats know their names and the voices of their owners , so in other words, they are ignoring you. In the feline world, displaying feces in a prominent area is a sign of dominance. If your cat poops on your bed without covering it, it is telling you that it’s the dominant animal. If your cat covers its poop, like in litter boxes, they being submissive and are trying to convey that they do not want to offend you. Yes and don’t worry, it has no negative side effects. Although it can have drug-like effects, catnip isn’t addictive or harmful, so there’s nothing wrong with it if you sprinkle your cat’s toys and food every now and then! Why does my cat blink? It’s basically saying that it loves you. If you look at your cat and if it stares at you and slowly blinks, blink back. It is referred to as a “cat kiss”, a sign of trust and a way to say that it likes you. If there are certain questions that haven’t been answered here, simply call up your local animal hospital and get answers from your veterinarian!